LG ventured into the new trend of desktop market with PC on Monitor 19CH300. PC-on monitor is a new trend. Concept of simplicity. Full package containing all the core features. Speedy performance at a low price. Efficient use of space. Vertical usage. Anti-glare 3H surface treatment. Signal input from D-Sub/HDMI. PC-on Monitor comes with full package of PC, keyboard, and mouse at the cost for a monitor.It gives you a spacious work station as it has a mini PC mounted on the back of monitor: Desktop takes up quite some space, and it is hard to make it look neat and organized with all those wires , cables. PC-on Monitor, with its compact PC size that can snuggly be install on the back of monitor, frees up much space that once occupied by desktop. With this product range LG is targeting the education, small office and Public sectors, where still there is a huge requirement of desktop PCs.If we look into its configuration it has got a Intel ATOM Quad Core Processor Z8300, 1.44 GHz, with Windows 10 Home OS, powered by a 2GB DDR3L, Intel HD graphics and has a storage of 32GBeMMC. And the box also contains main unit, Keyboard, Mouse, Power Cord, HDMI Cable, D-Sub Cable and an user Manual. Toshiba today unveiled the TR200 SATA solid state drive (SSD) series for the retail market. Leveraging Toshiba’s advanced 3-bit-per-cell TLC (triple-level cell) BiCS FLASH™, the TR200 series offers PC gamers and DIY enthusiasts Toshiba’s first upgrade SSD with 64-layer 3D flash memory. 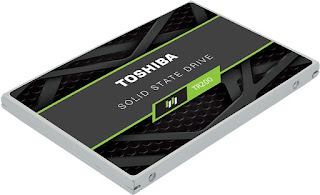 Toshiba TR200 SSDs are an easy and affordable way to enhance notebook or desktop experiences by increasing system responsiveness and productivity over traditional hard disk drives (HDDs). With a 6Gbit/s SATA interface, the TR200 series is rated for sequential read/write speeds(1) of up to 550MB/s and 525MB/s(2) and random read/write performances(3) of up to 80,000 and 87,000 input/output operations per second (IOPS)(4). In addition to excellent SATA performance, TR200 SSDs provide low power consumption that translates into a longer battery life for on-the-go users. Portronics has launched “Beem 100” – A 100-lumen, 130 inch screen-size, 800 X 480 resolution excellent picture quality portable LED projector. It has the ability to project multimedia content from a variety of sources on a screen size of up to 100 inches diagonally. You want to enjoy movies with family & friends in the informal comforts of home getting but want a theatre-like experience. Or you are a game wizard and want to fully immerse yourself in a 100 inch screen size as you play on your PS3, PS4 or X-Box. Just connect these consoles to the HDMI port of Beem 100. 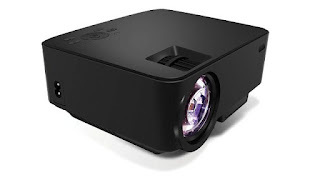 Beem 100 can seamlessly connect to your DVD player, Micro SD card, USB drive, RGB (AV) NTSC/PAL devices and even with HDMI enabled devices like Laptops, Streaming Dongles. One can easily stream hi-definition videos from Youtube, Netflix, etc. If you are watching a video using Beem 100 through a USB stick or Micro SD card or a laptop, you can also feed audio out from Beem 100 into your home-theatre or sound system through AUX OUT to make your experience complete. Diagonal Screen Size can go right from 34 inches from 1.5 meters upto 100 inches from 3.8 meters without blurring on edges. Through HDMI /MHL Port it can support highest resolution up to 800 X 480 and a contrast ratio of 1000:1. BEEM 100 support all major image, audio & video file formats. There is an inbuilt 2W speaker. Inbuilt focus and tilt adjustment through digital & optical image normalization helps you get the straight & sharp pictures projected. Beem 100 has a multifunctional Remote Control which has intuitively placed Panel buttons so you can make presentations or see a video comfortably. You can do the usual remote control functions like Play, Pause, Stop, Fast Forward, Reverse, zoom and freeze pictures, mute & change volume of sound etc. Beem 100 works on 110-240V 50/60 Hz AC power. In-Built cooling fan keeps the temperature under control. The lifespan of LED is up to 20,000 hours. With less than 1Kg weight and dimensions of 18.6cm x15cm x7.7 cm, you can easily carry it around in your bag. 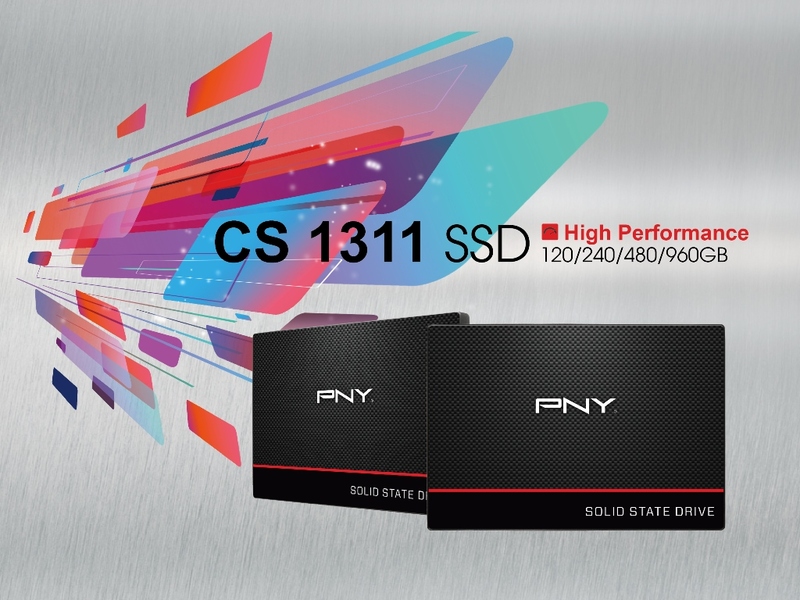 PNY is proud to announce the launch of the new CS1311b solid state drives. Targeting the sweet spot of price against performance, the CS1311b SSDs are 20 times faster than traditional hard drives, promising an affordable solution to boost your PC performance without breaking the bank.The 2.5-inch form factor SSDs weighing only 35gms and having dimensions of 100 mm (L) x 70 mm (W) x 7 mm (H), can be installed in not only almost every notebook computer and Ultrabook, but even in regular desktop PCs, thus supporting an easy performance upgrade in a very wide range of computers. The absence of moving parts not only guarantees the safety of your data against mechanical shocks, but it also means cool and quiet operation. The very low power consumption easily translates into better battery life for notebook and Ultrabook computers. Powered by the new 3D TLC NAND flash memory, the CS1311b SSDs sport the latest SATA III interface for fast data transfer speeds. The SSDs are available in storage capacities of 128GB and 256GB, thus ensuring that you no longer need to be worried about installing only the OS on this SSD to save valuable SSD space. The 128GB model exhibits fast 410MB/s and 510MB/s write and read speeds respectively, while the 256GB model boasts of incredible 510MB/s and 560MB/s write and read speeds respectively.The PNY CS1311b SSDs come with full version of the Acronis software to easily and conveniently migrate your existing OS and data to the new SSD without having to reinstall the OS. 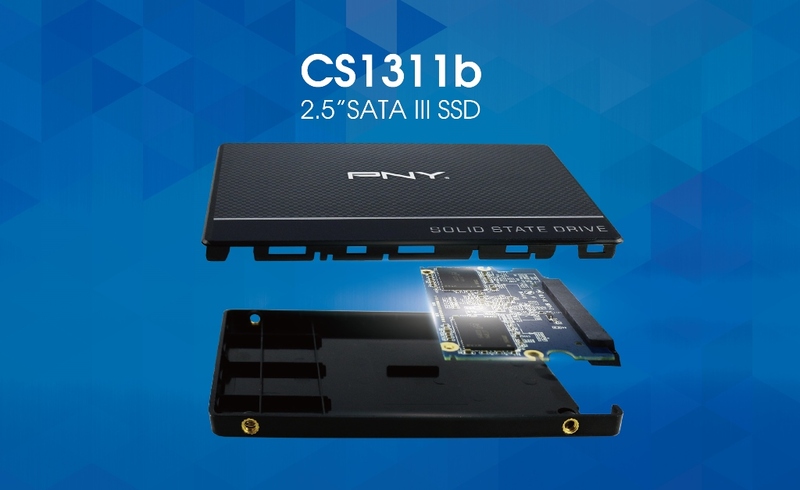 With a rated MTBF (Mean Time Between Failures) of 2 million hours, all PNY CS1311b SSDs are provided with a 3-year limited warranty. Of course, no gaming notebook is complete without a mechanical keyboard, which delivers a satisfying typing experience and fast, accurate response times. The keys are RGB backlit and can be individually programmed. PredatorSense software enables gamers to control and customize the Predator Triton 700’s vitals from one central interface, including lighting, hotkeys, fan control and general system monitoring. PNY has introduce PNY CS1311 2.5 “ SATA III SSD, the consumer-level solid state drives and the ideal replacement for users looking to upgrade from their normal HDD drive to their very first SSD without burning a hole in their wallet. The CS1311 drive is designed for an easy and cost-effective HDD replacement in the existing PC system to help realize faster boot times, quicker application launches and better overall system performance. CS1311 SSD is an all-black luxurious, textured drive with red accent design for a smart and performance driven look. Despite its lightweight size, the drive is extremely durable and offers shock proof features. It functions on low power and features a low-power mode that consumes less power than normal HDDs. It generates less heat than an HDD and ultimately increases the life of your PC or laptop, while maintaining noise-free operation without emitting any sound making your PC quieter. It also prevents heating and potential damage at a regulated cool temperature that keeps your SSD drive safe from overheating. PNY stands behind the SSDs, which is proven with the competitive 3-year warranty. In addition, PNY US-based technical support team is always available 24/7 to answer any questions. Adding to the current lineup of monitors designed for multi-client and dual-monitor set ups like the Dell 43 Ultra HD 4K Multi-Client Monitor and Dell 34 UltraSharp Curved Monitors, Dell introduced the company’s first 37.5-inch ultrawide curved screen monitor. 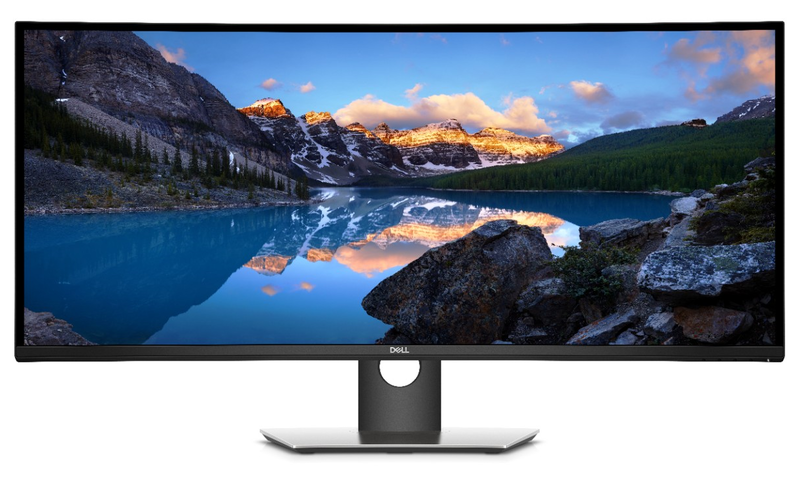 The Dell UltraSharp 38 Curved Monitor (U3818DW) is ideal for financial customers, engineering and other segments looking for a well-designed monitor and expansive screen to boost multitasking and productivity. With a panoramic WQHD screen that delivers approximately 25 percent more viewing content than a 34-inch WQHD 21:9 monitor, users see outstanding visual detail and vibrant, consistent color. Users can view applications between two PCs simultaneously and manage content with a single keyboard and mouse with the convenient KVM feature. 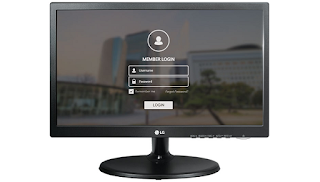 With Dell Display Manager, the monitor allows users to customize screen layout for viewing multiple applications side-by-side with Dell Easy Arrange or to work on multiple tasks simultaneously with Picture-in-Picture and Picture-by-Picture features. 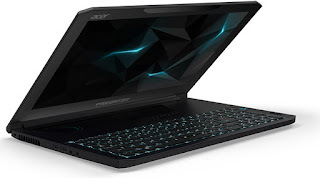 The monitor also features a convenient single cable with 100W USB Type-C connectivity that transmits power, audio and video between the laptop and monitor. Integrated dual 9W speakers power a full video editing experience or lifelike gameplay, while 99 percent sRGB factory calibration delivers accurate colors, right out of the box. PNY is ready to take on the gaming industry by storm with the launch of the Gaming Series to Asia market. The PNY Gaming Series offers best-in-class PC components to deliver gaming performance ranging from affordable to the most intense for die-hard gamers. Scheduled to be released in the 2nd half of 2017, the product categories will include gaming grade graphics cards, SSDs, and PC memory products that promise to deliver the competitive edge advantage in PC gaming.